Welcome back once again, Squadmates! 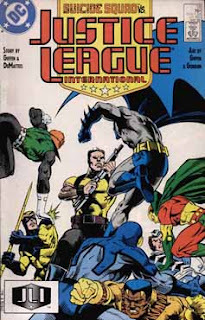 Before listening to this episode of Task Force X, you may want to listen to Ryan Daly's Secret Origins 28 where the two of us talk about the uhmm secret origin of Nightshade! Then return here as first, I do a Character Profile on the aforementioned Nightshade! 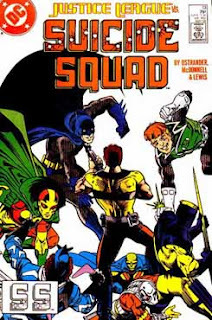 Then Ryan joins me here, as we talk about the Nightshade Odyssey that ran through Suicide Squad 14-16. 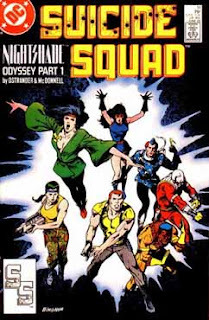 Suicide Squad 16, the final part of the Nightshade Odyssey? After I uploaded the episode, one thing I thought of I forgot to cover was the music. Finally I wrap things up with Suicide Notes. 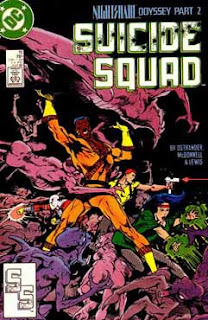 Be sure to check the Facebook page for news and updates on the Suicide Squad movie. That's where I tend to post information as it comes to light. Then, look for G.I. Joe: A Real American Headcast the first week of the month, where we look at G.I. Joe: A Real American Hero issue 12 and the fifth episode of the second cartoon series, Revenge of Cobra, in our one year anniversary episode. But before you listen to that episode, be sure to look for Ryan Daly's Secret Origin Podcast episode 28 where we look at the origin of Nightshade in a lead up to next month's story arc. 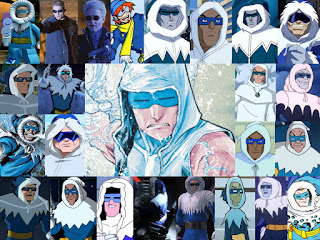 You can also visit us on Facebook looking for Task Force X. Thanks for tuning in guys. Make sure to tell a friend and check back soon for our next episode of TASK FORCE X! 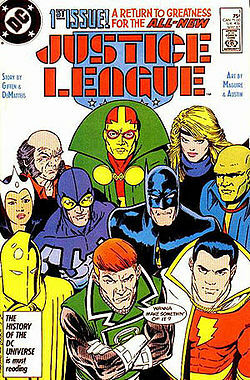 First up, I do a Character Profile on The Justice League International! 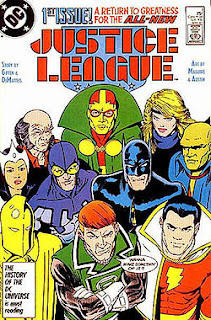 I then introduce my special guest star.... Paul Hix, from the Waiting for Doom podcast, as we talk about the Justice League International and Suicide Squad cross over! Justice League International Vol. 1 #13 (May 1988): "Collision Course"
Suicide Squad Vol. 1 #13 (May 1988): "Battle Lines"
Then I wrap things up with Suicide Notes. 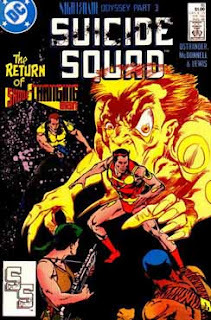 Finally, be sure to return next month and listen as I talk about Suicide Squad issues 14-16 for our two year anniversary with another special guest host.